In his riveting new novel, internationally bestselling New York Times Notable author and Prix Medicis étranger-winner David Vann reimagines his father’s final days. 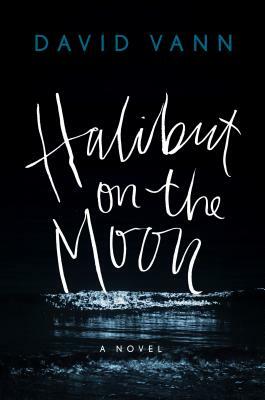 Halibut on the Moon (Grove) traces the roots of mental illness in one man’s life as he attempts to anchor himself to the places and people that once shaped his sense of identity. Halibut on the Moon is a searing exploration of a man held captive by the dark logic of depression and struggling to wrench himself free. In vivid and haunting prose, David Vann offers us an aching portrait of a mind in peril, searching desperately for some hope of redemption. “While the subject is in some ways reminiscent of Paul Auster's The Invention of Solitude (1982), Vann's unrelentingly harrowing descriptions of Jim's depressive state recalls David Foster Wallace's darkest moments. Mixing beautiful prose with unremitting bleakness, this difficult, deeply moving work will affect all who read it.” -Booklist. David Vann’s books have been published in 23 languages, won 14 prizes, and appeared on 83 Best Books of the Year lists in a dozen countries. A former Guggenheim fellow, he is currently a Professor at the University of Warwick in England and Honorary Professor at the University of Franche-Comté in France.